Extrabux.com offers a wide selection of Saks Fifth Avenue coupon codes and deals and there are 36 amazing offers this April. 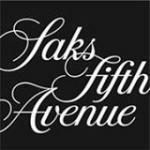 Check out our 36 online Saks Fifth Avenue promo codes and deals this April and get amazing 70% Off discounts. Today's top offer is :Enjoy Up To 60% Off Selected Women's Designer Shoes.